Thanks to the arcane Electoral College system in the United States, Donald Trump who appears to have won the majority of Electoral College votes may yet find himself locked out of the Oval Office. 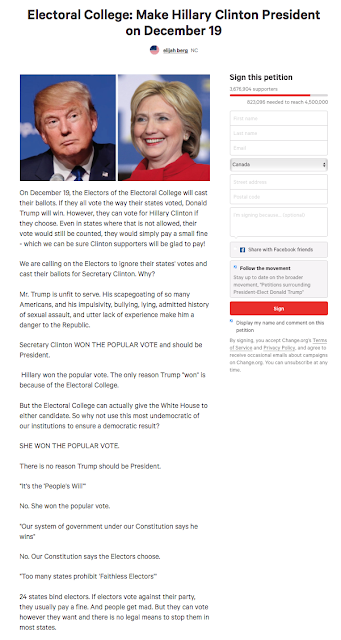 For those of my readers who live outside of the United States who have trouble enough understanding the concept of the "Electoral College" and how it relates to getting oneself elected president, here is a brief explanation about the "faithless elector" and how it has been used throughout American history. When the United States was formed, the founding fathers established the Electoral College as a compromise between electing the president by a vote in Congress and electing the president by a popular vote of the citizens of the United States. According to the National Archives and Records Administration, over the past 200 years, there have been over 700 proposals introduced in Congress to either eliminate or reform the Electoral College; given that an amendment to the Constitution must be proposed by a two-thirds majority in both houses of Congress and ratified by three-quarters of states, any changes are highly unlikely despite the fact that public opinion polls show that 75 percent of Americans favoured abolishing the Electoral College in 1981. It is important to keep in mind that the president is not chosen by the percentage of votes that they receive on a nationwide basis, rather, the president is elected by the basis of the popular vote in each state in 48 out of 50 states. 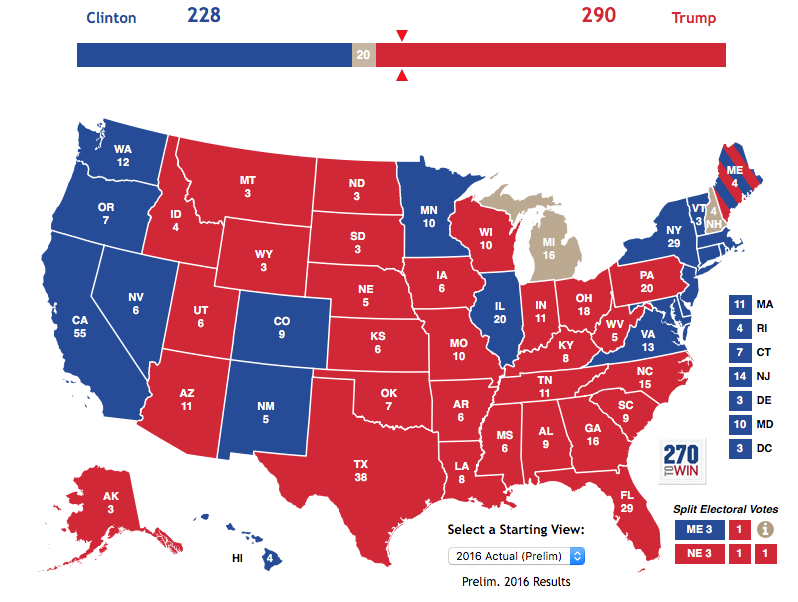 That is, the candidate that gets the most votes in a state takes all of the Electoral votes (winner takes all). Two states, Nebraska and Maine do not follow this rule; in these cases, there could be a split of Electoral votes based on the proportion of the total number of votes received. 1.) 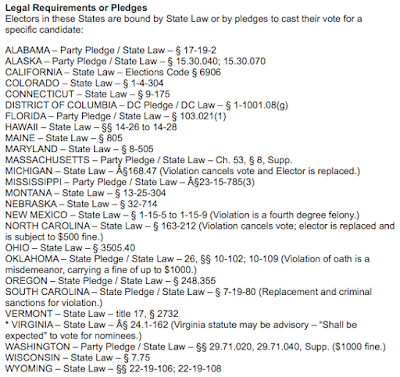 the political parties in each state controls the slate of Electors and select the Electors either at their state party conventions or by a vote of the party's central committee. Electors are often selected because they have personal or political connections to their party's presidential candidate or because they have served on the state level of their political party. 2.) on election day, when voters in each state cast votes for the presidential candidate, they are voting to select their state's Electors whose name may or may not appear on the ballot. 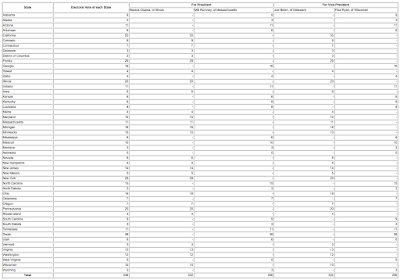 The winning presidential candidate's slate of potential Electors are then appointed as the state's Electors except in the cases of Nebraska and Maine where, as I mentioned above, the Electors are selected based on their proportion of the vote. 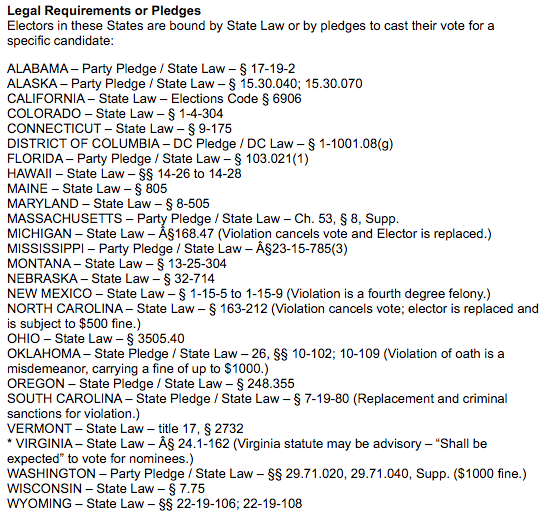 In total, 21 states do not require their Electors to vote for their party's designated candidate. Margaret Leach, a nurse from Huntington, WV, was pledged to the Democratic Party. During the Electoral College process, Leach learned that members of the Electoral College were not required to vote for the candidates to whom they were pledged, whereupon she decided to draw more attention to the situation by switching her votes for president and vice president. She cast her presidential vote for Lloyd Bentsen, the Democratic Vice Presidential candidate, and cast her vice presidential vote for Michael Dukakis, the Democratic presidential candidate. Leach tried to get other electors to join her, but hers remained the only unexpected vote. Roger L. MacBride was pledged to the Republican party of Virginia. However, in the 1972 election, MacBride did not cast his electoral vote for Richard Nixon, the Republican presidential candidate, but for John Hospers, the Libertarian presidential candidate. He also cast his vice presidential vote for Toni Nathan, the Libertarian vice presidential candidate, (making Nathan the first woman to receive an electoral vote). MacBride ran as the Libertarian candidate for president in the next election but did not receive any electoral votes. Dr. Lloyd W. Bailey was an elector for the Republican Party of North Carolina. He did not vote for Richard Nixon however, but for George Wallace, the presidential candidate for the American Independence Party. 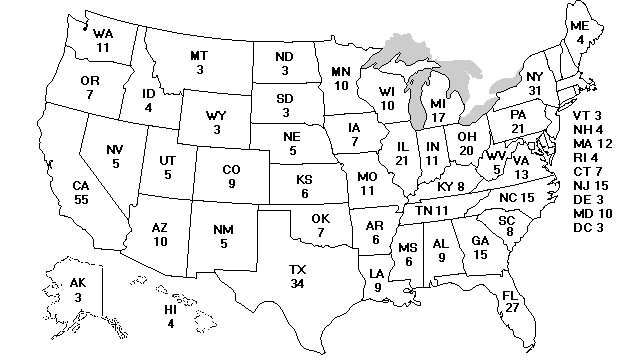 (Wallace received a total of 46 electoral votes). Bailey claimed that Nixon had done some things that displeased him (like appointing Henry Kissinger and Daniel Moynihan) and so he decided not to vote for him. He also protested that he had never signed a pledge promising to vote for any particular candidate and that his vote for Wallace was justified because Wallace was the winner in Bailey’s district. Bailey later admitted at a Senate hearing that he would have voted for Richard Nixon if his vote would have altered the outcome of the election. Irwin received several replies (about 40) from other electors but he was the only one to vote against his designated party. He cast his electoral votes for Byrd and Goldwater. In the same election 14 unpledged electors (eight from Mississippi and six from Alabama) cast their presidential votes for Harry Byrd. All 14 also voted for Senator Strom Thurmond of South Carolina as vice president. 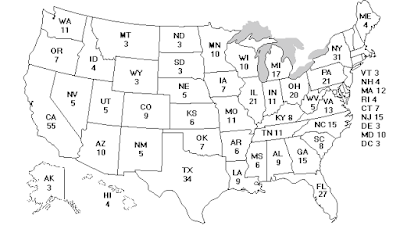 In the 1912 election, there were eight Republican faithless Electors, in the 1872 election, there were a whopping sixty-three Democratic faithless Electors, in the 1836 election, there were twenty-three Democratic faithless Electors and in the 1832 election, there were thirty-two Democratic faithless Electors. The first appearance of a faithless Elector took place in 1796 when Samuel Miles broke his pledge to vote for Federalist candidate John Adams, voting for Democrat-Republican Thomas Jefferson who still lost the election by three Electoral votes. In total, since the founding of the Electoral College, there have been 157 faithless Electors with 71 of these resulting because the original presidential candidate died before the day on which the Electoral College cast its vote. Even with all of these Electoral shenanigans, no Elector has changed the outcome of an election by voting against their party's designated candidate. ...and the history of the Electoral College and its rather meagre contingent of faithless Electors, I would suspect that the odds that the Electors will ignore their state's vote and cast their ballot for Hillary Clinton is somewhere between slim and nil. The Constitutional and civil uproar that would occur would likely be comparable to what happened in the United States in the early 1860s. 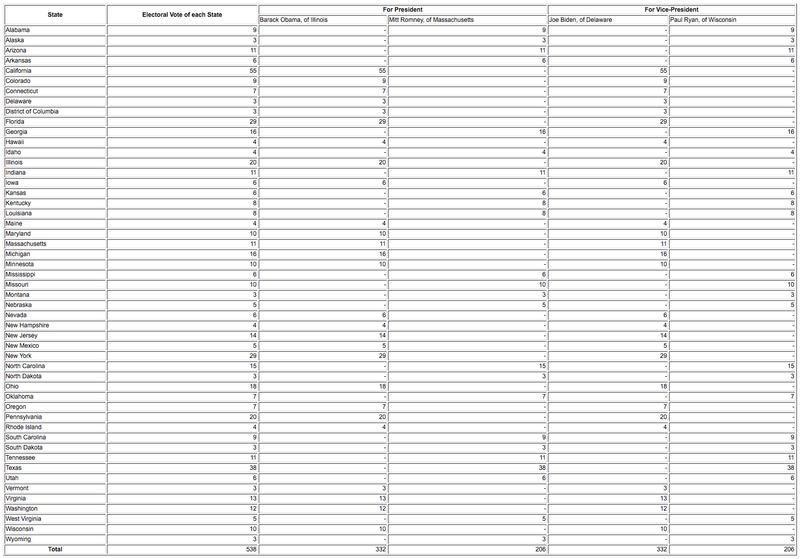 As well, the odds that Congress will ever change the Electoral College system is equally remote. You really should have put the county by county map in this post. If you look at that map Trump won something like 80% of the counties through out the US. I voted Gary Jonson. So Trump is by far not my guy but to make it seem like some how Hillary was cheated out of the election is not accurate. Hillary will have more total votes because of a handful of counties with big cities in them that overwhelming voted for her. I also suspect that any voter fraud in the votes for democrats would have taken place in areas that were heavily democrat to begin with. So she padded areas she would have won anyway.